Welcome back! Today's post with Crafty Labels is the fourth and last Stamp Highlight for this month's release. Here, the design team's projects show how we can use these labels for cards too! 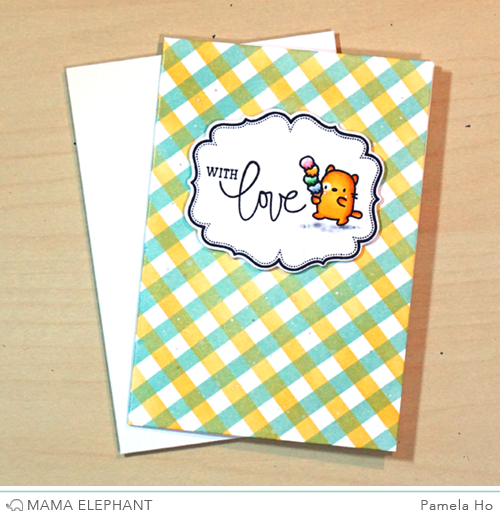 Vera created sweet mini cards that can be used for tags too. 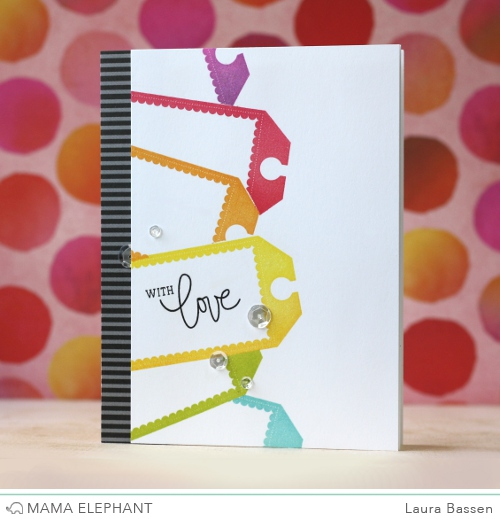 Laura used masking to create this fun, colorful border of tags. We love clean white and black label against the fun and colourful plaid background! Melania's card is so cute! I love it! Cute sentiments, and I like the curly labels. Would you consider making coordinating dies for little cat agenda? Thank you!